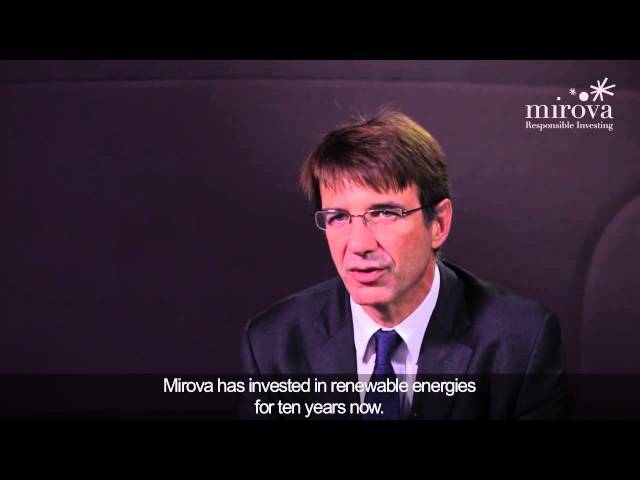 As part of its collaborative engagement launched in 2014 on social issues in the textile supply chain, Mirova, together with the Sustainable Apparel Coalition (SAC), hosted a workshop for members of its engagement platform and other investors on transparency in the textile industry last Friday, 17 November 2017. Around 20 investors attended this workshop. This is the first time investors and other actors of the financial community, together with representatives of the industry gather to discuss what type of information investors would like to see brands communicate on with regards to their commitment and efforts towards sustainability. The workshop was held as part of the Higg Index transparency roadmap to 2020 announced by the SAC in 2016. The Higg Index is a suite of tools developed by the Sustainable Apparel Coalition specific to the apparel, textiles and footwear industry that enables brands, retailers and supplier factories of all sizes and at every stage of their sustainability journey to measure and score a company or product’s sustainability performance. The Higg index provides a holistic overview that enables businesses to make meaningful improvements to a company’s social and environmental impacts such as protecting the well-being of supply chain workers. Modules of the Higg Index will gradually be ready for publication starting in 2019, with the entire Higg Index fully available for publication by 2020. While disclosure of the Higg Index is voluntary, brands who decide to make it public can use the Higg Index to communicate with their consumers and other external stakeholders on their efforts towards sustainability. Furthermore, the Higg Index provides the public with standardized and comparable performance data – a first in the market. As part of its engagement with the industry to improve transparency over social issues in the textile industry’s supply chains, Mirova saw the opportunity to come together with the industry and be included in the building process of the index prior to publication. Furthermore, this marks the beginning of another thought process with regards as to how can investors use this vast amount of information once made public. About the SAC: The Sustainable Apparel Coalition was founded in 2009 by Patagonia and Wal-Mart with the objective to limit the negative environmental impacts of the apparel, textile and footwear industry while maximizing the positive impacts on the industry’s stakeholders. Its main activity is the Higg Index, an assessment platform used by brands and their supplier factories to measure, share and benchmark their environmental and social performance. The SAC is composed of around 175 members (SMEs and big multinationals) that represent roughly 40% of the industry. Mirova joined the SAC in the beginning of 2017.